We covered the tradition of having a St. Joseph’s altar, but today lets look at some other fun things we can do to celebrate St. Joseph’s feast day! 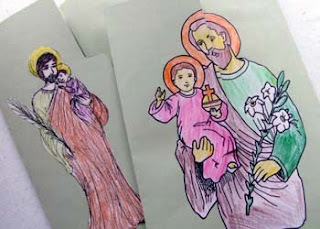 I love this printable St. Joseph paper doll from Paper Dali! 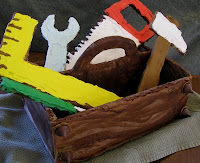 Isn’t this gingerbread St. Joseph’s tool box amazing?! Check it out over on Catholic Cuisine. set up to print for you already! That Resource Site. 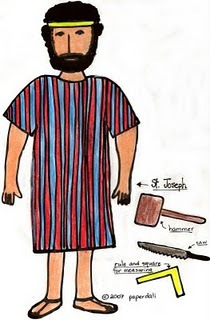 Just scroll down to St. Joseph. at the Virtual St. Joseph Altar.